When you need home or office storage space or storage for your motor vehicle, boat, motorcycle or other property, Interstate Moving Storage Companies has exactly what you need for a price that can’t be beat. We can provide secure storage in every state from one coast to the other. We work with the leading self-storage facilities nationwide that offer friendly customer service and the lowest rates in the industry. We help thousands of happy customers locate safe and secure storage space for their home goods, personal property, home and office furniture, cars and trucks and other vehicles, boats, ATV’s and motorcycles and other property. Whether you need outdoor or indoor storage, we have what you need no matter what area of the country you are in. We offer the best storage in every state in the nation and the locations we work with are conveniently located and priced just right for all types of budgets. We provide climate controlled storage space as well as non-climate controlled and all facilities are safe and secure and have a variety of storage unit sizes for all of your property. Use boxes to make stacking property easy to do. 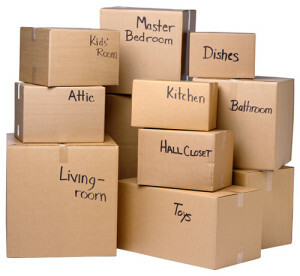 Boxes help to save space in a storage unit when they are stacked properly. Rent a small space and pack it as tightly as possible. This will help save money on storage and will also keep your property tightly sealed where it will not chance falling over or breaking once the door is closed. Have all of your packing materials ahead of time so you will not find yourself trying to pack loose items inside the unit. Take inventory of everything that you pack inside the storage space and be sure to keep the inventory sheet filed in a safe location. Do not leave the inventory sheet inside of the unit. Place items that you may need soon closer to the front of the storage unit and items you will not need until a later date in the back. It is not easy to unpack an entire building just to get one box that is inadvertently placed behind everything. Never store anything flammable or combustible like gasoline, kerosene, paint, cleaning products or others. Try to use wooden pallets if possible, especially if the floor of the unit is concrete. Concrete can become damp and can ruin personal property by getting it wet or causing mold to grow. Label all boxes that you place in the unit. This will make unloading the unit much easier and will help you when you relocate the boxes to a new home or office. Always stack heavy boxes on the bottom and lighter boxes on top. Mirrors and glass table tops and other glass should be wrapped in packing blankets to prevent them from breaking as well as to prevent glass from spraying if something should happen to break. All dishes and other small glassware should be wrapped and carefully packed inside of appropriately sized boxes. Drawers of furniture can be used to pack small items or clothing, blankets and towels. Expensive televisions and other electronics need to be packed near the back of the storage unit when possible. When possible, remove legs from tables to save space. Tape the legs to the bottom of the table when storing. Place furniture blankets on the ground and stand sofas and loveseats on the end to save space. Make sure mattresses do not bend when they are placed inside the storage unit. Mattresses that are bent can become uncomfortable when they bend out of shape. Try to never place sharp items on top of soft furniture. Try to leave a space large enough to walk from the front of the unit to the back of the unit if possible. This is important if you will need to move items in and out of the storage space from time to time and will need to reach things in the back of the unit easier. Are you looking for a cheap interstate moving storage company? Call 800-675-7907 or click the button below to get free moving storage consultation.